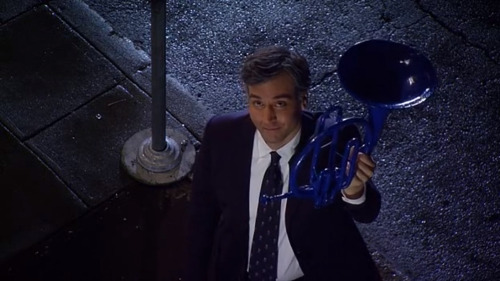 HIMYM Finale SPOILER ALERT: Reasons why I'm okay with the way it ended. This finale was actually done decently. Let me give you my reasons. 1. Remember that everything we’ve seen is a story that Ted is telling his children. If the story was truly about the mother, why would we have all those seasons that didn’t involve the mother at all? The show started with Robin, and after a few seasons of not meeting the mother it was very obvious that this story was about Robin. 2. The reason they didn’t show Ted mourning his wife’s loss. Again, he is telling the story to his children. They would have experienced their mother’s loss or AT LEAST experienced their father’s mourning and grief, and wouldn’t need a retelling of that story. Even if they did, it’s a bit dark to tell your children how you mourned your mother’s loss in detail. It’s not particularly something you put into that kind of story in the end. 3. It was also clear that the mother was dead before the finale in the fact that these kid’s are listening to their dad tell them one of the biggest stories they’ve ever heard in their life about their mom. Do you really think two kids would grow up caring enough about how their mom and dad met to listen for more than 30 minutes if she was alive? 4. The ending was realistic. People get divorced. People die. Not everyone gets a happy ever after in the end even if we want it so badly. 5. Robin and Ted didn’t work throughout the show because they wanted different lives. She believed in her career and didn’t want a family/kids. He wanted to be a family man. The idea that they can work now in the future after his kids have grown up and after she’s farther in her career makes sense, because what was holding them back before wasn’t in the equation anymore. 6. When it was revealed before the finale that Barney didn’t ACTUALLY burn the playbook in the proposal and used a fake. It was a look into an important aspect of why Barney and Robin wouldn’t work in the end. 7. They brought a lot of previous stuff together in the end full circle. The ending made perfect sense and was true to the lead up they have been doing for years. The story was never about anyone other than Robin in the end. The show was very clear about this if you paid attention. 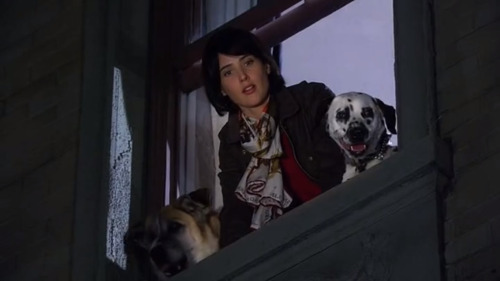 After watching the finale, I have come to realise this was one of the most boring seasons of How I Met Your Mother. Everything moved so slow throughout the season, and I kept waiting for the wedding to be done and for them to show more interesting episodes. I do not know how the writers didn’t think of maybe, I don’t know, making the wedding 10 episodes long, and then, expand all the content they threw at us in the finale, because very important things like Barney and Robin getting divorced, Ted marrying Tracy, Tracy dying, mourning her death, all of those are not things you should squeeze in one episode, even if it’s a 1 hour special. I know people have problems with the final plot twist, and maybe I also do, at some level, but the main problem I have is that they build up the wedding way more than they should have, and pretended it was a build up for meeting the mother. Actually, I am not even giving the wedding 10 episodes, It should’ve lasted 3, or 5 at most. And back to the writers; I recognise it’s their story, and they can write whatever they want, and we can either like it or not, but that is not the proper way to tell it!! And I will hate them for making me literally feel as if I had been stuck at a hotel for months, waiting for a wedding to happen that is not even as important as what happens just one episode after. Read it please…as a how I met your mother fan. I just want to explain something. I’ll go point by point. They were so less in this episode, well that’s true. All of them were so less in this episode. It was good seeing good things happen to them but I cried so much seeing lily trying to keep everyone together but it falling apart. I can’t say more about them. They lived the finale as same they were in the past and in the future. Okay you guys have been saying that this finale just broke down all his character. Well, after He broke up with Robin at the first time he reset back to normal. After Nora he again set back to normal, after Quinn he again set back to normal and then he started to get Robin because he thought that she was the perfect fit. Well she was, kind of. But you know what I know Barney inch by inch, element by element. I have loved this show, breathed it and followed it religiously!! I know about the character because about everyone of them reflect me. I just knew Barney would never change with Robin, no matter how awesome they were (UP-TOP). Barney is a very dark character. You know the reason why he doesn’t talk about his teen and college life because I can bet he had a very dark life. And he had been left away by his dad. He had to grow up like that. And in season 6 I just knew, I was sure only if barney has a kid he will change. And that scene with ellie was amazing. The writers nailed it. And the best thing is the kid is a girl. So now his misogynistic behavior will change forever. And I am happy for him but I do wanna know about the number 31 and what goes on after that. Robin was such a strong female character and with such problems in her childhood. I don’t know why people hate her even knowing how her childhood has been. And she has always been conflicted with love life and her career. And after divorce. Yeah lets talk about that you know that was a great marriage and its right. Just like barney said. You know there are many lines in this episode which are said so lightly and are in so light mood but they carry so much weight. And if they had told it in more excruciating meaning it would have been painful and I definitely would have been dead, to not be able to handle this much. I’ll be back about robin in a moment. I am so sad that the mother died and you know what they gave us that story which we all were expecting. And I just don’t get what you all were expecting!! What else could happen. There were so strong hints that she was dead. I am so sad and I have cried so much and I am crying too. I loved her. Ted just started to tell this story and he started to relive those moments because it was nothing like that now. All had changed so he got lost in it. And he kept thinking about the other love which he still had in his life and they were available to be together. Robin was so alone, she had her career and now when she had got the one single thing you could just see how lonely she felt. What she wanted she got but knew she had paid a price and the price was those awesome friends. They deserved to be back together because they need to be happy. Love is never dead and it can be ignited back. Ted loved mother 100 percent. You know you keep saying Friends had such an awesome finale. Well it ended that things will change and they will try to be friends but guess what they didn’t lived up to the expectations. They can’t live you just know. And it ended there and everybody did wanted to know what happened forwards. But that was a risk but HIMYM doesn’t get afraid to take risk. Never. It dives into the dead hunting reality and doesn’t stop. 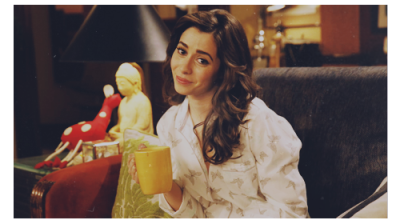 HIMYM always did more than a sitcom it never played by rules. It always tried to do more and I loved it for that and I love them for this. HIMYM is awesome and it’ll be the only thing this episode was needed it needed to be stretched out in this season then the season 9 would be perfect and a hell of ride because there was not so much time to cover up the things. It needed more play time that’s all. And at the end I would say. I am such a big fan, this show was my first and gateway to foreign tv shows and it ended. And I had thought after the end of the episode that we all fans would come together and would celebrate the finally and would console each other because it took my life. But I am sad to see people are not even able to get the finale. Mother came into their life as a hope and restored their friendship and when they again started to drift off she died as a martyr to save their friendship again. She was an angel :’) this thoughts come piercing to my brain and they make me cry so much. I just need somebody to console me over this. I need someone to hold me because, I am breaking down. It was a happy ending. A reality happy ending, never done by anyone. and... the slap bet is over! I'm like "really? are you serious? pls let it be a april's fool joke. pls." You see, kids, right from the moment I met your mom, I knew…I have to love this woman as much as I can, for as long as I can, and I can never stop loving her, not even for a second. I carried that lesson with me through every stupid fight we ever had, every 5:00 a.m., Christmas morning, every sleepy Sunday afternoon, through every speed bump. Every pang of jealousy or boredom or uncertainty that came our way, I carried that lesson with me.